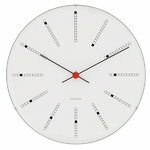 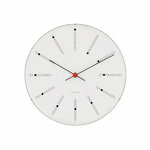 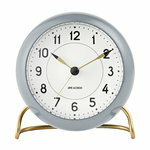 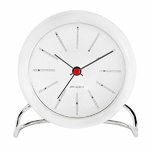 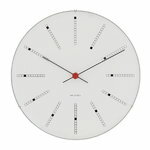 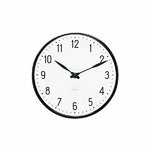 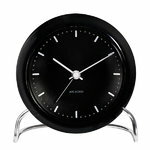 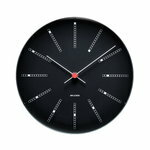 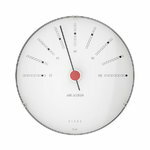 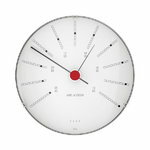 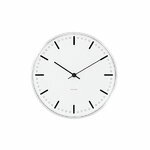 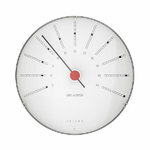 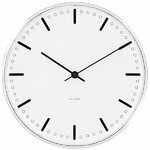 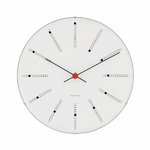 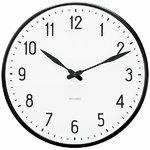 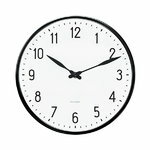 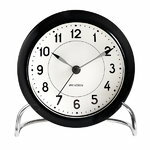 The renowned Danish architect Arne Jacobsen also designed clocks for the buildings he had drawn: the Roman clock for Aarhus Town Hall (1942), the City Hall clock for Rødovre Town Hall (1956) and the Bankers clock for the National Bank of Denmark (1971). 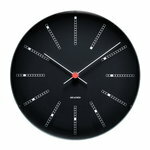 Rosendahl Design Group has acquired the rights to these timepieces and created a product family based on the original designs. 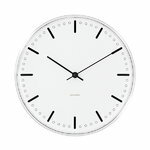 To ensure authentic form, the Danish company has worked in close collaboration with Teit Weylandt, the former head of the product development division at Arne Jacobsen’s studio.